Have you heard that any breastfeeding diet helps you lose the baby weight quickly? Perhaps you are disappointed that just breastfeeding isn’t working for you, or maybe you’re still pregnant and are looking forward to this benefit of breastfeeding. 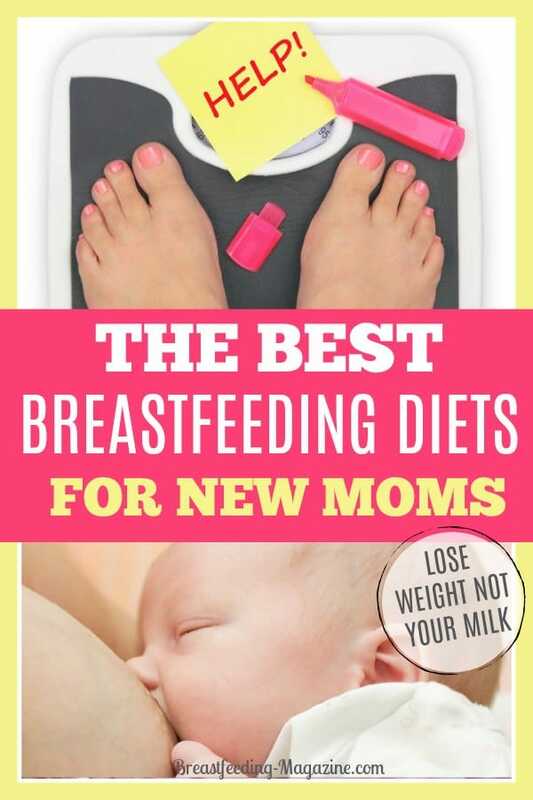 The trick is just how to make sure you can get back to your pre-baby self or reach your weight goals without weaning or losing breast milk supply! When breastfeeding, you will naturally burn between 300 and 500 extra calories per day. Your body is using those calories to produce milk for your baby. It is often recommended that women consume at an extra 300-500 calories per day to support this process, but that seems counterintuitive if your goal is to lose the baby weight as quickly as possible. 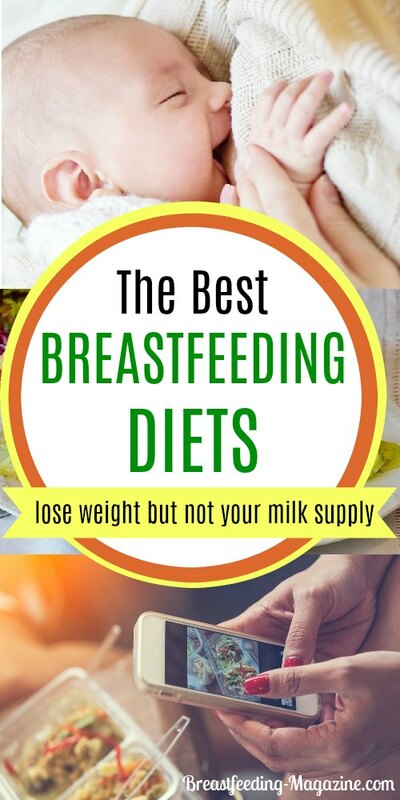 While it’s tempting to intentionally avoid eating back those calories or even to restrict your calories further in the name of weight loss, doing so could decrease your milk supply and limit your ability to breastfeed. There are ways to safely lose weight while breastfeeding, but you should do so safely. Let’s take a look at what that means in daily life. When it comes to food, you share the same basic need as your baby: nutrients. You can assure that your baby is receiving the nutrients that he or she needs from your milk by simply sticking to a well-balanced diet. This includes fruits, vegetables, whole grains, lean protein, and even healthy fats from avocados, nuts, and extra-virgin olive oil. You can ensure that your body has the calories needed to produce a healthy supply of breast milk by simply eating a little more of these healthy foods each day. If you take your calorie increase from fresh fruits and vegetables that are low in calories and high in nutrients, you can avoid gaining weight while nourishing your body and supporting your milk supply naturally. If you take the “eating for two” approach and indulge on pasta, bread, fatty steaks and other high-calorie foods, then you’re likely to experience weight gain rather than loss. Does this sound too simple to actually work? 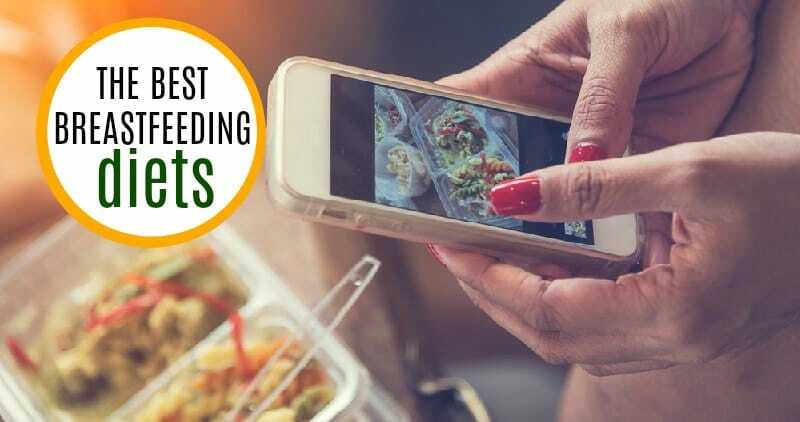 It may seem that way, but switching from over-processed foods and a diet of fast food to natural, wholesome foods is often enough to stimulate significant weight loss even without pregnancy and breastfeeding factoring into the equation. You can eat more when your food is naturally low in fat, sugar, and calories in general. The La Leche League recommends that you wait at least a couple months after giving birth to start intentionally striving for weight loss. This gives your body time to recover and adjust after the birth, and you’re likely to have established a schedule for you and your baby by this point. Many latch problems have been worked out in those first two months, and many mothers are naturally ready to get back to their daily lives and start pursuing a personal goal. Professionals recommend that breastfeeding women consume around 1,800 calories per day in order to lose weight gradually. Some women can take that closer to 1,500 calories per day without impacting the amount of breastmilk produced. This is something that you don’t want to experiment with because the only way to know when you’ve taken it too far is to notice a decrease in your milk supply. It’s best to keep your calories between 1,500 and 1,800 daily or to speak to your doctor for a personal recommendation with your health history taken into consideration. It is generally recommended that breastfeeding mothers lose about one pound per week. That may not seem like a lot, but it is a healthy number that won’t interfere with your breastfeeding efforts. If you accept this from the beginning, you won’t have to deal with the let down when large numbers don’t drop from the scale right away. If you’re already overweight or obese after having your baby, there’s a chance that you’ll lose weight faster when you first start following a healthier diet or restricting your calories. This is due to the higher number of calories that you likely consumed prior to having your baby and attempting to lose weight. You create a larger calorie deficit than a woman who was already following a low-calorie diet prior to pregnancy. Your weight loss will slow down after the first two or three weeks if you’re consuming enough calories to sustain breastfeeding. Research has shown that it is safe for breastfeeding mothers to exercise, and doing so could speed up your weight loss. It can also help strengthen, tone, and shape your body so that you get your curves back faster. Of course, you need to wait until your doctor clears you for exercise to ensure that your body has fully recovered from the trauma of birthing. You may receive clearance to go for walks before you’re cleared for strengthen training or more intense activities, so always ask about your walking limits if your doctor says you’re not ready for exercise yet. The key here is the word “moderate.” You don’t want to jump into super intense training because it could impact your milk supply, but you would have to work out extremely hard and daily in order for that to become an issue. If you are an athlete or enjoy pushing your body to the limit, discuss your boundaries with a doctor so that you don’t diminish your milk supply. The more calories you burn from exercise, the greater calorie deficit you can create. You may need to eat a bit more of your healthy foods to make sure that your body can still sustain breastfeeding. Look for ways to turn playtime and bonding time into exercise. Anything that requires movement will burn calories. You may even find a stroller exercise club or fitness class in your local area. Take a shower before breastfeeding after a workout. Many babies don’t enjoy the taste of salty sweat, and sweat tends to accumulate inside a woman’s sports bra. You may occasionally experience a clogged duct in the breast due to the sweat. Reduce your chances by taking a shower immediately after each workout. This is not a big problem for most women. Gradually ease back into your exercise routine, even if you worked out regularly prior to giving birth. Your body may need some time to get back into the swing of your full routine. You will likely need to buy a new sports bra because the one you wore prior to birth will no longer fit or provide the support that you need. Breastfeed or pump before exercising so that you don’t have to worry about leaking at an unexpected moment. Also keep in mind that many women experience urine leakage after a vaginal delivery. You may need to avoid wide-legged squats and other exercises that put downward pressure and make that problem worse. This should get better as your body recovers from the delivery. How Do You Safely Manage Dieting While Breastfeeding? That depends on your personality, your willpower and your preferences. 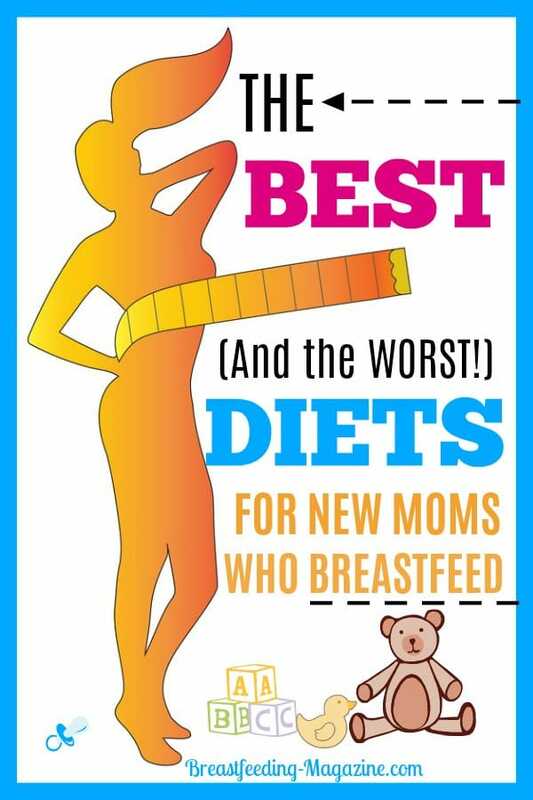 Here are some examples of diets that work for breastfeeding moms who are considering dieting while breastfeeding. This healthy weight loss plan worked well for me when I had baby #1. It is this simple. I also walked briskly — to the point where it is difficult to have a conversation — (pushing my sweetie in a stroller)for 20 minutes a day five days a week. I was able to safely lose the HUGE amount of weight that I had gained and be back in my pre-pregnancy size without giving up nursing. As I said, that was with my Baby #1. My Baby #2 was a different story altogether! She had “severe colic…” which means that for TEN MONTHS this child cried (even as I held her) from 4pm until 1 am every night. I was exhausted. I was tired. I didn’t have the motivation to take on my breastfeeding diet alone this time. I needed someone to make me some healthy, delicious meals that I did NOT need to prepare because WHO HAS TIME FOR THAT when breastfeeding and having with two little ones? This is a breastfeeding mamas dream This company is AMAZING to get your through the toughest part of postpartum! However, you may never want to stop ordering. It is THAT good. 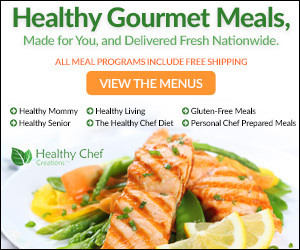 Healthy Chef Creations provides healthy, great-tasting meals, made to order and delivered them fresh everywhere in the U.S. Yes…fresh NOT frozen. They use only organic, all-natural ingredients and have won awards for taste and quality. 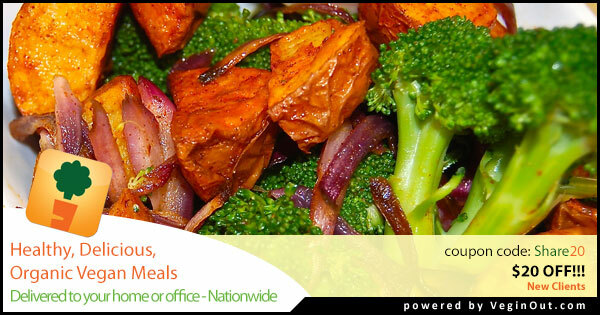 They come individually packaged, oven/microwave-safe and BPA-free containers, ready-to-eat, right to your door. No prep. No fuss. No mess. Just good for you food that will keep your diet in check so you can get the nutrients you need to keep your breast milk supply strong, keep YOUR body healthy and help you lose some unwanted pounds in the process! Why do we love this plan? Because we have seen it work! Have you ever wondered how celebrities can look so good so fast after birth? It is because they have their own personal vegan chef! We love this option because it is good for both vegan and non-vegan mamas and is absolutely delicious. New moms love it because there is no counting calories, carbs, shopping or even cooking! So instead of just eating a PB&J with the toddler while nursing an infant…you can enjoy a treat of great organic food made just for you and lose weight too! The come prepared, fresh and ready to eat. *** SPECIAL DEAL FOR OUR VISITORS! **** Click here to get $20 off your first order with Vegin’ Out with Code Share20! 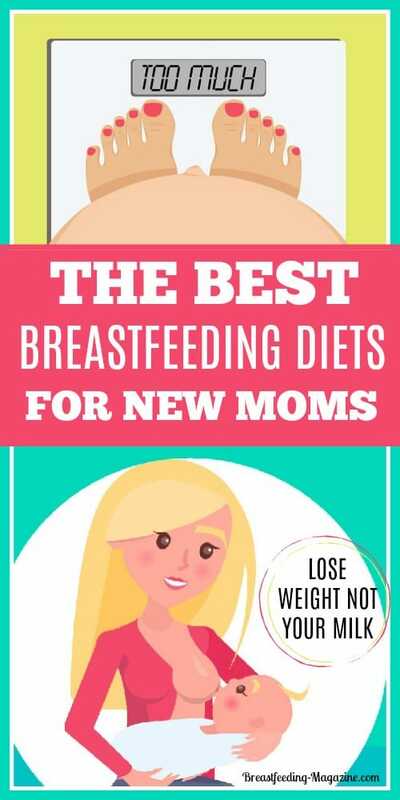 If you try this diet while breastfeeding, just make sure that you pick the low-fat plan 1600 calorie plan to allow enough extra calories to provide for your baby and still lose weight. I just wish they had had this breastfeeding diet sooner!